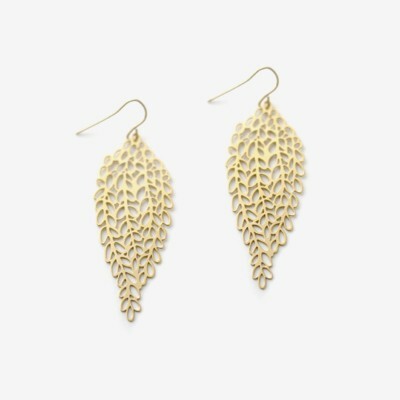 Simple little leaf shapes are clustered to form this elegant pear shape. This piece is lightweight yet makes a bold statement. Available in 14k yellow or rose gold plated steel.